Paying for college can be a challenge for both students and their families. The cost of tuition, student fees, books — not to mention housing and meal plans — all add up, and it might take multiple sources of financial aid and advance planning to work into your budget. However, making sense of it all does not need to be intimidating. Whether you or your children are preparing to enter an undergraduate program in pursuit of a bachelor’s degree, or have decided to go for a master’s degree in your field, there are a lot of options to cover the cost of college. This guide will help you figure out which ones are right for you. One of the best ways parents can help their children pay for college is by saving. Setting savings goals and putting money away as early as possible can aid significantly in enabling a child cover their tuition and living expenses as students. Even better, there are special types of college savings accounts that offer tax exemptions and other benefits to maximize savings. Students cannot usually independently take advantage of the full benefits of college savings accounts themselves, but they are a great tool for parents (or grandparents and other guardians) to help out — if they plan ahead. The most common type of college savings accounts are called 529 plans. These plans, also known as “qualified tuition plans,” carry tax-exempt benefits and may be sponsored by educational institutions, state agencies, or the federal government. There are two types of 529 plans: prepaid tuition plans and college savings plans. Prepaid tuition plans are not state sponsored. They allow the account holder to prepay, or purchase, credits at participating colleges and universities. The biggest benefit to this type of plan is that it allows the account holder to “lock in” tuition rates at current prices.This means that if the account holder purchases a semester of college now for $5,000 but prices increase to, let’s say, $9,000 by the time you will attend college, the college or university will honor the original price that was paid. These are typically available for public, in-state colleges and universities. If you decide to enroll at an out-of-state or private university, the plan, in most cases, pays the average of in-state public tuition, and the student will be responsible for any difference there may be. Unlike the prepaid tuition plan, college saving plans are more flexible. They can often be used at any college or university, even some non-U.S. institutions, with no requirement for residency. While the prepaid plan can only be used on tuition and fees, the savings plan can be used for both of those along with room and board. One of the biggest drawbacks to this plan is investment risk. With the prepaid tuition plan, the money you put into it is guaranteed and backed by the state. However, since a college saving plan often includes different types of investments — such as mutual funds, exchange traded funds and principal-protected bank products — they are not backed by state or federal governments. This makes the college savings plan a riskier option, but with the right investments, it can be a great way to cover the cost of college for students that want the ability to attend any school they would like. If you have a 529 account, you are already a step ahead of your classmates. Even if your plan can only cover a portion of your higher education costs, it reduces the amount of time and effort you will need to put in for scholarships and grants, and it lowers the probability that you will leave college with substantial loan debt. While college savings accounts allow parents and guardians to help pay for college, most forms of financial aid oblige parents and students to work together. This is especially true for first-time college students or those enrolling in undergraduate degree programs. Students may need personal and financial information from their parents, especially when applying for federal aid; in many cases, getting loans will require a parent or guardian co-signer. The following information will help students and their families navigate the most common applications for financial aid and provide additional resources for paying for college together. Outside of college saving accounts your next step will be completing the Free Applications for Federal Student Aid, also known as FAFSA. If you plan to obtain federal aid like loans, grants, or work-study, this form will be mandatory. There are quite a few colleges and states that also use your FAFSA information when awarding non-federal aid. The FAFSA is free and easy to complete, typically taking around an hour to complete online. Also, while it helps to have parents participate in filling it out, students are generally able to complete the FAFSA independently if necessary. Some students feel they shouldn’t complete the FAFSA; the truth is that everyone will need to complete it. Even if you have a low GPA, poor credit, are older than the average student, fear your parents’ income is too high or they aren’t citizens, you may still be eligible for federal aid. The federal government awards more over $120 billion a year in grants, loans and work-study funds. Filling out the FAFSA opens all of those doors to you. Once you complete your FAFSA, you will receive a Student Aid Report (SAR), which summarizes the data you submitted. Make sure you look over your SAR to verify the information and correct any discrepancies you see. When you filled out the FAFSA, you had an opportunity to select up to 10 schools you have already applied and been accepted to. After the school admissions office receives a copy of your FAFSA, it will calculate your aid and send you an aid offer, also known as an award letter, letting you know how much aid you are eligible for at that school. After receiving your award letter, you’ll need to decide how much and what aid to accept. Always start with free money first. The CSS Profile is a form similar to the FAFSA; however, it is used to award non-federal aid. There are approximately 400 schools and scholarship programs that will require this form alongside your FAFSA. Unlike the FAFSA, there is a fee to complete the CSS Profile. The initial application is $25 while additional reports will run you $16 apiece. Some students will be eligible for a fee waiver if they meet certain circumstances: first-time college applicants who have used a SAT fee waiver; those who have an income of $45,000 or less; and any student who is an orphan or ward of the state under the age of 24. When you’ve exhausted all other options to pay for college, your next option will be taking out student loans. While students are able to take out loans independently, the most common scenario involves parents acting as co-signers for their children. Co-signers help ensure students get the best interest rates on student loans by providing additional credit. Students borrowing student loans will be required to pay back everything they borrow; parents or guardians who co-sign student loans may also be on the hook should the student fail to repay the loans. Both students and parents should be cautious when considering student loans, and communicate with each other and their lender about interest rates and repayment terms. It is generally best to get as much financial aid from other sources as possible before taking out student loans. For many students, however, student loans can be the key that unlocks a college education. Federal student loans are back by the federal government and feature many benefits over those in the private sector. Some of these benefits include income-driven repayment plans, fixed interest rates, no credit check and no need for a co-signer on most loans. Independent students and those applying for aid without parents may find federal student loans more accessible than other loans. There are currently four different types of federal student loans to choose from. Also called Perkins Loans, these are low-interest student loans for graduate and undergraduate students with extraordinary financial need. To be eligible for this loan you must be enrolled in a school that participates in the Federal Perkins Loan Program. You can check with your school’s financial aid office for more information. This loan is a little different; instead of owing money to the government, your school is the lender, and you’ll make payments directly to them or their loan servicer. The amount you can be awarded will depend on your financial need and how much your college has available to disburse. Maximum amounts are $5,500 a year for undergraduate students, up to $27,500 total. For graduate or professional students you can receive up to $8,000 per year, up to $60,000. You will have 9 months after you graduate, leave school, or drop below half-time status before you must start repaying. More commonly known as Direct Stafford Loans, these loans are an option for undergraduate students with financial need. The school you attend will determine how much you can borrow and that amount can’t exceed your financial need.With a Direct Stafford Loan the U.S. Department of Education pays the interest while you attend school for a minimum of half-time along with the first 6 months after you leave school and during any postponement of loan payments. Also known as Stafford Loans, there is no requirement to demonstrate financial need when applying for this loan. Similar to the Direct Stafford Loan, your school will determine the maximum amount you can borrow depending on other financial aid you receive and your total cost of attendance.Unlike the Direct Stafford Loan, you will be responsible for all interest during all periods. If you decide not to pay interest while attending school, it will be added to the original amount of the loan. PLUS loans are available to eligible graduate or professional students who meet certain requirements. To qualify for this loan, you must meet the general eligibility requirements for federal student aid and not have an adverse credit history. The maximum amount you can borrow is the cost of attendance, determined by your school, minus any other financial assistance you receive. The Parent PLUS loan is another form of the PLUS loan but only available to parents, biological or adoptive, of a dependent undergraduate student enrolled at least half time. To qualify as a dependent, your child must be under 24 years old, have no dependents, be unmarried, and not be a veteran. Similar to the PLUS loan, you cannot have an adverse credit history or be in default on any previous federal education loans. The amount you borrow cannot exceed the cost of your child’s education after all other financial aid is applied. Unlike the other federal loans listed above, repayment begins as soon as the last disbursement check is received. Parent PLUS loans can carry some of the highest rates and charge a higher fee than other federal loans available. However, they also offer deferment or forbearance because of financial hardship or unemployment. Some parents are tapping into their home’s equity to help cover the costs of higher education. The most common loan of this type is a home equity line of credit, or HELOC. To qualify for a HELOC loan you need at least 20 percent equity to borrow against. There are some definite risks to this type of loan though; if you default on the loan, you could end up losing your house. If used as a short-term solution to education expenses, this could be a great way to borrow exactly what you need with lower interest rates. Discussing a home equity loan with your financial advisor or mortgage lender should be your first step. Most students heading to college have little to no credit history. This makes them a risky investment for loan companies. One way to get around this is through a parent or guardian co-signer. As a parent, you agree to repay the loan if your child is unable to. The biggest thing to remember is you are considered a co-borrower, which makes you equally responsible for repayment of the loan. It can also impact your ability to qualify for a new loan or line of credit. When a financial institution requests a copy of your credit report, they will see the loan and take into account your ability to pay it along with any new loan you apply for. Co-signing a loan for your student can mean the difference between expanding their education or not. It is important to carefully consider your child and how financially responsible they have been. If a child defaults on their loan, it will be your responsibility to repay and will hurt your credit score if you don’t. Unlike private student loans where a parent might co-sign for their student’s loan, the parent is the only borrower in this case. Private loans can offer a lower interest rate than the Federal PLUS loan but there are more requirements to be eligible. For instance, with the Parent PLUS loan only your credit history is examined to ensure no adverse history. With a private loan, credit scores and income can directly impact your eligibility. There are many private companies that offer private parent loans, but the best place to start is through your current financial institution. Private student loans should be your last resort. Make sure you have exhausted all of the options above before considering taking out a personal loan to cover the costs of your education. Private loans don’t come with the same protections that federal loans offer such as forgiveness programs, repayment plans, and fixed interest rates. The terms of private loans will depend greatly on your credit history. If you’ve exhausted all the other options, there are quite a few companies that specialize in student loans. Before completing any paperwork, make sure you research and compare the different companies. Look at ratings from the Better Business Bureau and previous borrowers to ensure they are a reputable company with a history of transactions. Speak to your current bank or credit union; they may be more willing to offer a loan since you have some history with them already. Once you decide on a financial institution, take the time to thoroughly read the terms and conditions related to your loan. Discuss what type of interest rates they have available. Ideally, you want to find a loan with a fixed interest rate, that will stay the same during the life of the loan, instead of a variable interest rate, that could start off low and increase as the market changes. The last thing you want is a surprise down the road. Not every form of financial aid requires parents or guardians to be involved. While it always helps to have support, independent students and those without parents have plenty of options to pay for college. Scholarships are one of the best financial resources available to any student. Much of the time, parents have no direct role in students applying for or being rewarded scholarships — unlike student loans. Similarly, many grants and work-study programs are available to students without parents having to be involved. Graduate students and masters degree candidates will also benefit from the following resources aimed especially at the students themselves seeking help paying for college. One of the best ways to pay for college is through scholarships. Scholarships are available from colleges, private organizations and governments. Almost everyone who attends college will be eligible and apply for a scholarship of some kind. There are many types of scholarships available all you have to do is look for them. There are two major types of scholarships: need-based and merit-based. Need-based scholarships are awarded based on financial need and require completion of the FAFSA. These scholarships are based solely on the assets and income of the student and their family. All need-based scholarships are awarded for 1 year only, but you can reapply each year. Scholarships based on merit do not take into account what your income is or what kind of assets you have. Those based on merit can include a variety of different things: talents and interests such as athletics, artistic abilities or academic accomplishments. These often have a requirement of some kind. For academic scholarships this could be a 4.0 GPA or a certain number of advanced placement courses. They could also take into account how well you’ve done in sports the arts for athletic- or other types of talent-based awards. Scholarships offered around your community and state are considered local scholarships. Unlike those offered nationally, local scholarships can often give you better odds of winning. That’s because the pool of applicants is so much smaller. These scholarships are specific to city or state. The best place to start looking for these opportunities is through your high school guidance counselor, if you are still in high school, or your local and state board of education website. These could be merit- or need-based and will often have a residency requirement of some kind. You may be able to find additional opportunities through your employer or businesses around your community. Contacting your employer, parent’s employer and state or local agencies is one of the best ways to find available hidden or obscure scholarships. The best way to know is to ask. Most local scholarships are going to be for a smaller dollar amount than those you will see from a national opportunity. There will be less opportunities available at a local or regional level however, you will be more likely to win them than those offered nationally. Unlike local scholarships, national scholarships are available throughout the United States. They often don’t have the same type of residency requirement that you will find with a local award. These can be more difficult to win since you are competing with a country full of students. Like local scholarships, they can be both need- and merit-based. Those offered at a national level are more competitive and likewise much more prestigious. National scholarships are much easier to find. There are a plethora of websites available to help you with your search. We outlined the most popular scholarship search sites below. In order to promote diversity, many scholarship sponsors offer unique scholarships to those who are considered minority students. These can include Native Americans, Latinos and Hispanics, African Americans and so on. Minority scholarships can be merit-based or need-based. Most of the time, to qualify for these scholarships, you need to have a specific race or ethnicity. That isn’t to say that if you are of more than one ethnicity or race you won’t qualify. Some only require that you have one of the listed ethnicities to be eligible. Some organizations include women or LGBTQ as a minority, so there are additional scholarships available to that subset. Even though these scholarships are only available to a specific group, make sure you meet any additional requirements, like minimum GPA, they may have before applying so you don’t waste your time. Every year 180,000 Americans join the military. Those who choose to defend America in the armed forces don’t need to relinquish their dreams of higher education. There are a plethora of scholarship opportunities available from private companies and individual branches of the military for service members, veterans and their dependants. Military scholarships can also be merit-based or need-based. Students living with disabilities have faced numerous obstacles while trying to acquire a higher level of education in the past. Since the Americans with Disabilities Act was enacted in 1990, universities and private organizations have offered scholarship money to those with disabilities so they can reach their education goals and limit the debt incurred while doing so. There are many disabilities that would qualify you for these scholarships. Most are available to those who have cognitive, behavioral or emotional difficulties. With a wide range of scholarships for all different types of disabilities, there are awards available for just about everyone. If you have already narrowed down which university you want to attend, check with the financial aid office. They may be able to point you towards scholarships offered by the college themselves. These resources can aid you in your search for more specific scholarships that could be ideal for you. Being unique is what makes you, you. Celebrate that uniqueness with scholarships that fit your situation. Whether you were raised in foster care, adopted, from a small town, orphaned, part of the LGBTQ community or you’re a single parent. There are a plethora of opportunities for people in every situation. Something you view as a struggle or challenge in your life could help you pay for college. Like most things, thieves can take advantage of those searching for scholarships. There are certain things you should be aware of when searching and applying for scholarships to keep your information safe. Be cautious of any scholarship that requires an application fee of any kind. There are only a few, legitimate scholarships, that will require a fee. Scammers will often tell you the fees are to eliminate less serious applicants. Make sure you do research on any scholarship that requires payment before applying. The goal of scholarships is to give you money, not take your money. Any time you come across a website or service that guarantees you will win a scholarship, you should run for the hills. No legal scholarship sponsor will guarantee you a scholarship, likewise no scholarship service can guarantee a win either. They have no control over individual scholarships. There are plenty of reputable scholarship search sites, you’ll find a list of the most popular sites below. When you receive a phone call or email saying you won a scholarship, make sure it’s one you actually applied for. Ask how they got your information, and verify they are who they say they are. You can do a simple search online for the email address or phone number they contacted you from, or you can check with a financial aid office or guidance counselor. If you’re worried they may be a scammer, ask them to provide written information to you and never give out personal information over the phone. For legitimate scholarship awards this information is completely unnecessary. They may say they need this information to complete the application or disburse your award. Anytime someone requests this information, hang up or delete the email immediately. Make sure you verify the company that is providing the scholarship. Sometimes they may look legitimate since they have a mailing address and phone number. If you are worried they may not who they say they are, do a Google search. Double check they are a real company, see if they provide contact information on their website, and call them. Ask about the scholarship and if they have a list of previous winners. Oftentimes, companies will want to showcase how much money they have given away in the past — the absence of this information should be a red flag. The biggest thing to remember is to trust your instincts and never give out personal information before verifying they are a legitimate company. If something seems too good to be true, it probably is. The federal work-study program helps cover some of the costs related to college. When you complete the FAFSA, you will be able to see if you qualify for this program. If eligible, you would be employed by your college/university, a public agency, a private non-profit organization or a private for-profit organization. Work-study is a part-time work opportunity for students engaged in certain majors. Similarly to a part-time job, you’ll work a set number of hours and receive a paycheck, or have your paycheck automatically applied to your tuition and school expenses. Work-study is a great way to gain extra money to help with college costs, expand your resume, and acquire valuable work experience while still in school. Before accepting a work-study program take a look at your course load and other obligations. Taking on a part-time job while completing a rigorous class schedule could end up hurting you in the end and cost more if you have to delay graduation or repeat courses. After scholarships, grants are the next best way to pay for higher education. Similar to scholarships, grants aren’t required to be repaid. Specialized grants are especially common for graduate students and those engaged in research programs, but some grants exist for students at the undergraduate level and in all areas of study. There are currently two different sources for grants: federal and state government grants, and non-government grants. Pell grants are typically available to those students who are pursuing an undergraduate degree and who haven’t completed a professional or bachelor’s degree in the past. 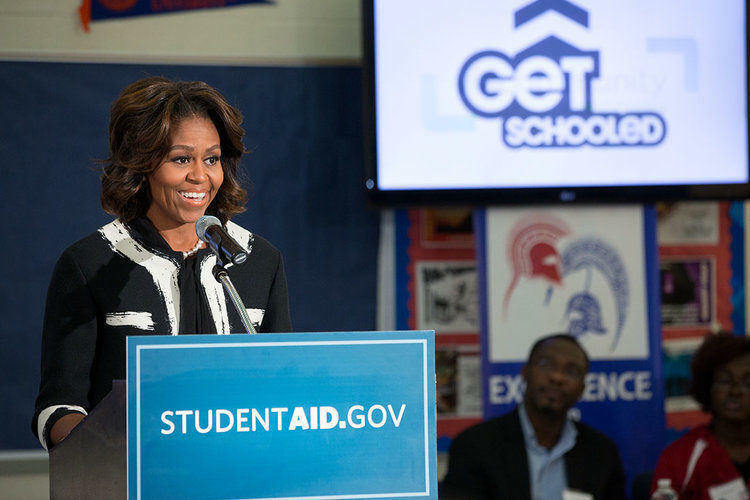 The Federal Pell Grant program is a need-based award for those who are low-income students. The 2017-18 maximum yearly award amount is $5,920. The Federal Supplemental Educational Opportunity Grant, FSEOG, is also a need-based grant available to those with extreme financial need. This grant is awarded through your college or university financial aid office. To be eligible you must apply through your school. They are rewarded on a first come, first serve basis — though, those with exceptional need are often prioritized. This award ranges from $100 to $4,000 each year depending on the need. The Teacher Education Assistance for College and Higher Education (TEACH) grant program is available to those who plan to complete or are completing a degree in teaching. The requirements for this one are more stringent; to be awarded this grant, you must agree to teach in an elementary school, secondary school, or educational service agency that serves low-income families for at least 4 years following graduation. You will be required to sign a TEACH Grant Agreement to Serve, and if you fail to meet the requirements, all money received will be converted to a loan that you must repay. Eligible students can receive up to $4,000 per year. The Iraq and Afghanistan Service Grant (IASG) is available to a select subset of the American population. Those students whose parent or guardian died as a result of military service after September 11, 2001, in Iraq or Afghanistan may be eligible to apply for this grant. There are a few additional conditions you must meet before being awarded the IASG grant. These conditions include not being eligible for the Federal Pell Grant based on expected family contribution but still meet the remaining Pell Grant eligibility requirements, which includes being under the age of 24 or enrolled in college at least part-time at the time of your parent’s or guardian’s death. The 2017-18 yearly award amount available is currently $5,529.28. Non-governmental grants are offered by numerous for-profit companies and non-profit organizations. Similar to scholarships, there are many non-governmental grants available. Although they can be more difficult to find, a plethora of grants exist for many different student situations. Need-based and merit-based awards are available for minorities, specific degree programs, artistic talent, nontraditional students, military members and dependants, and low-income/disadvantaged students. These grants can be more tedious and particular than their federal counterparts, but the money gained from them can go a long way to cover the costs of your college education.